This isn't exactly a recipe, because it's so so simple, but I wanted to share it because it's my new favorite breakfast food. I didn't come up with this myself though (maybe it's even one of those things everyone but me knew about? ), I was having breakfast with my friend Joan, and I had only heard about Tahini the day before and there it was on her kitchen table! 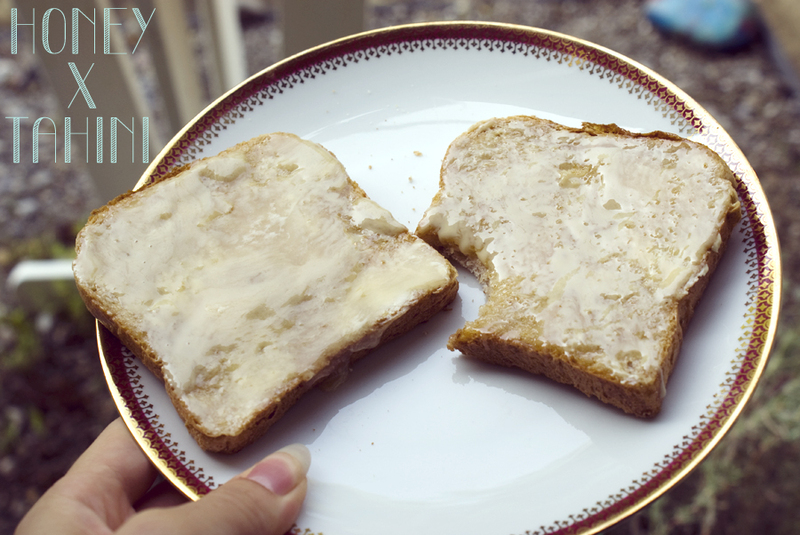 She toasted a piece of bread, spread some butter on it, then some honey and finally layer of tahini - so delicous! Sometimes I find honey a little too sweet in the morning, the tahini evens it's out perfectly!